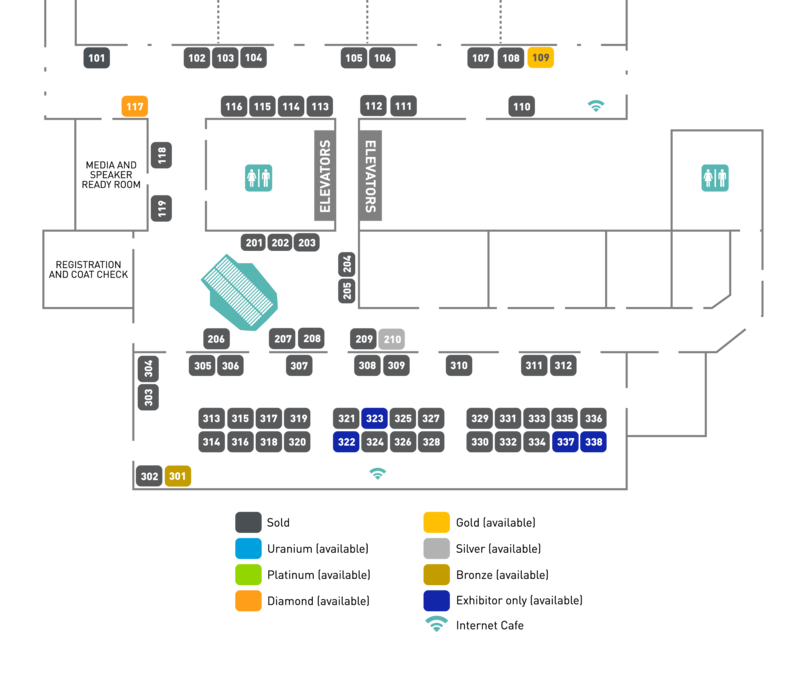 Check out where the action will be at CNA2019 with our floor plan below. Looking to join in with a booth of your own? Contact us today! 104 – AECOM Canada Ltd.
204 – BWXT Canada Ltd.
205 – BWXT Canada Ltd.
316 – Special Electronics & Design Inc.